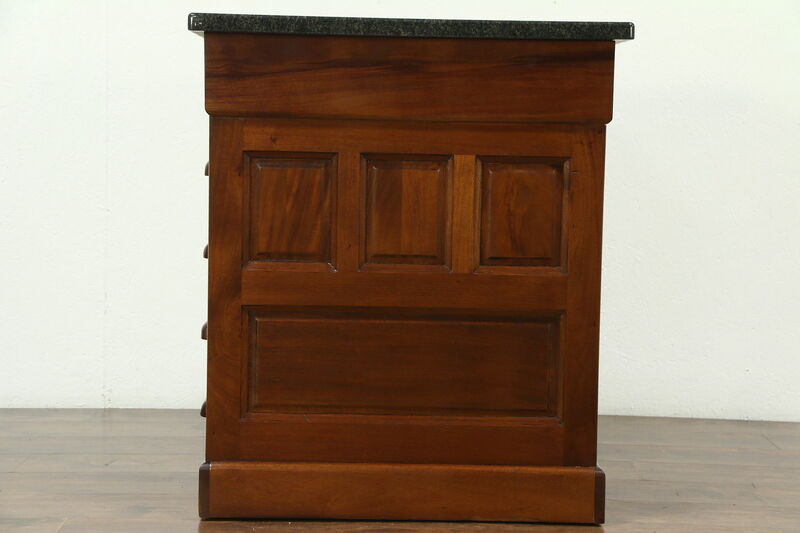 A kitchen counter island or wine and cheese tasting table was made from 1890 antique salvage desk pedestals with raised panels. 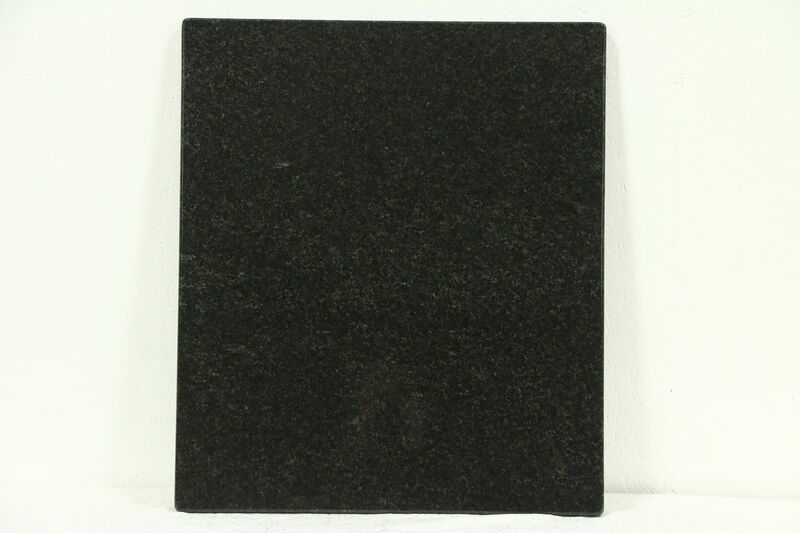 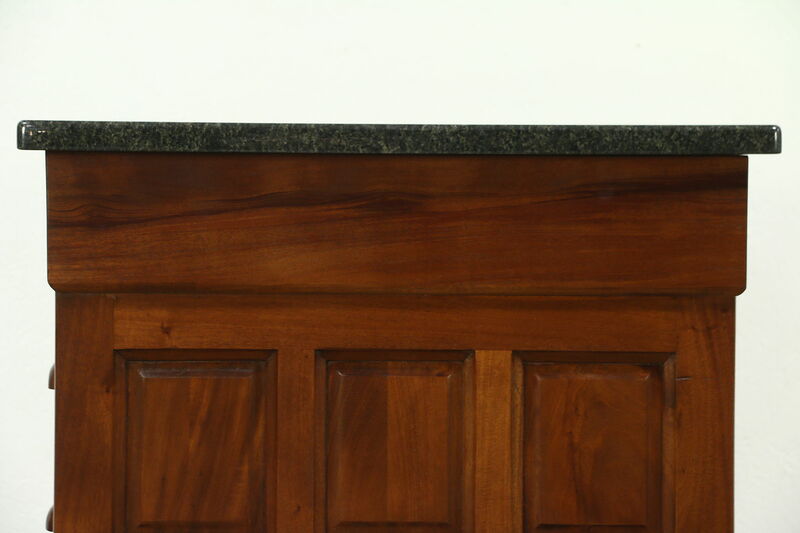 The custom top is Black Pearl granite from Norway. 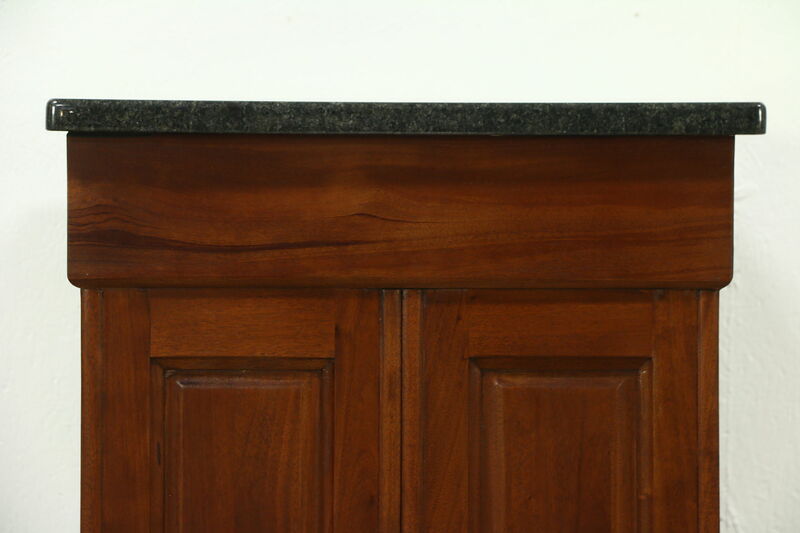 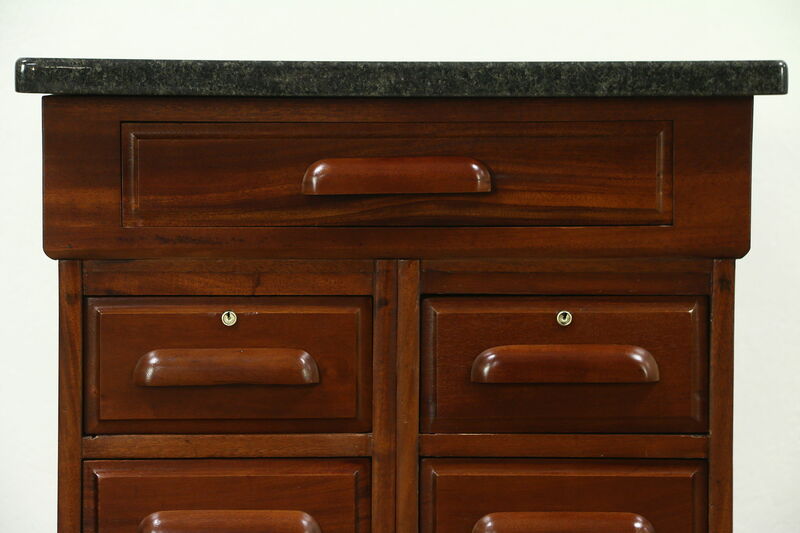 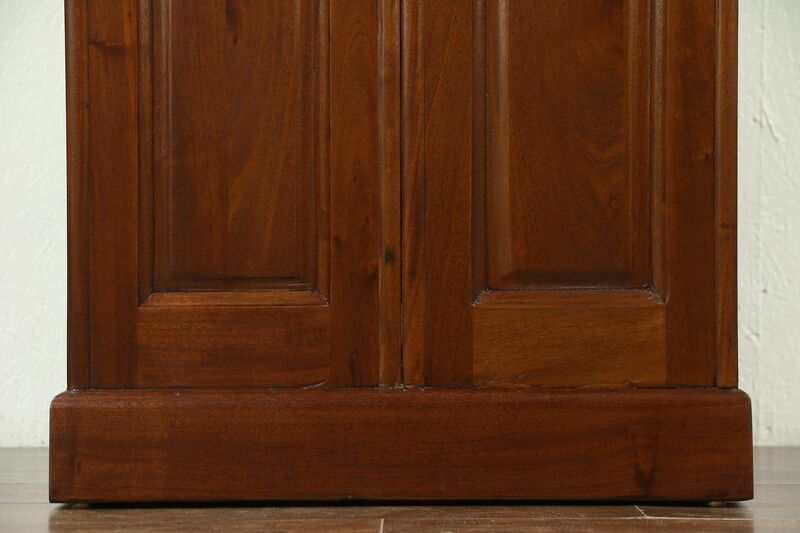 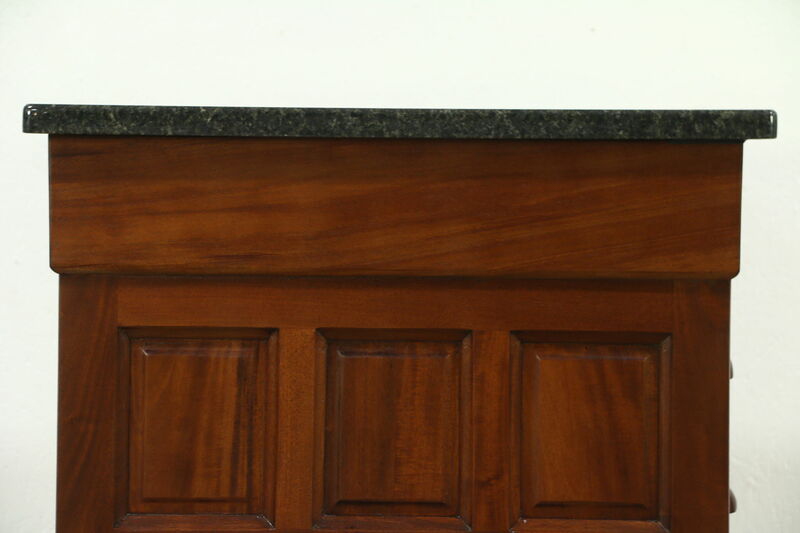 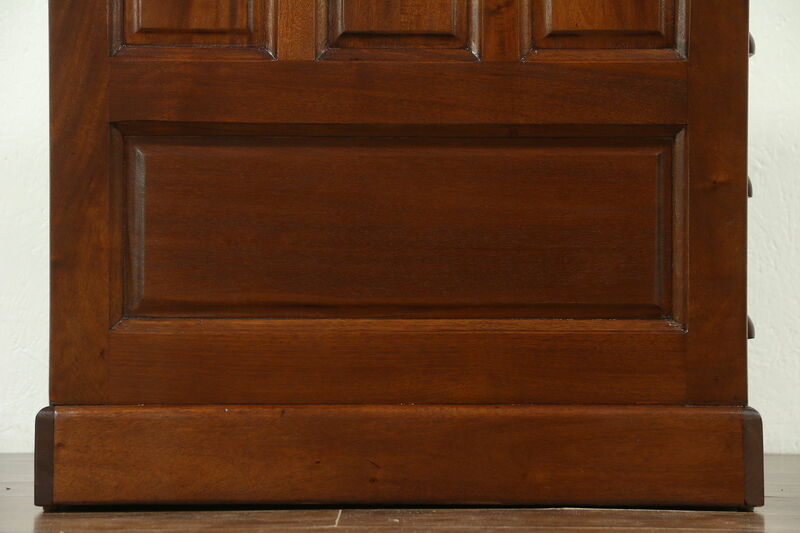 Solid mahogany, the restored finish is in excellent condition. 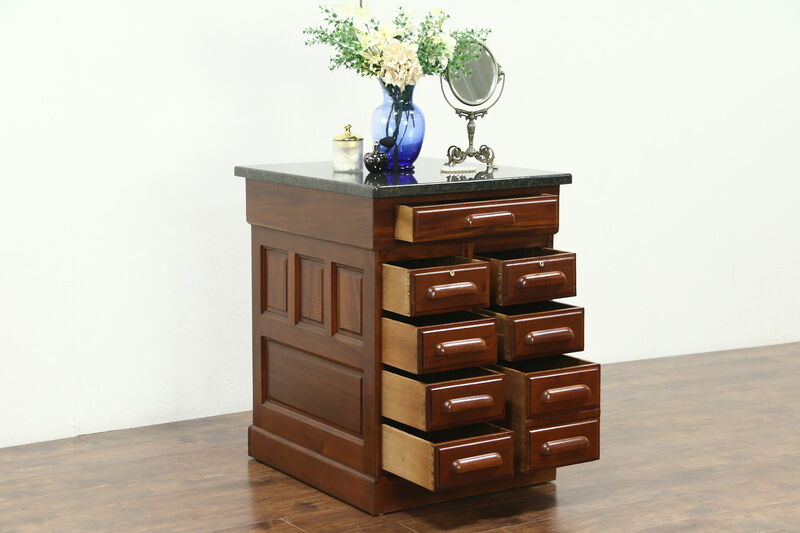 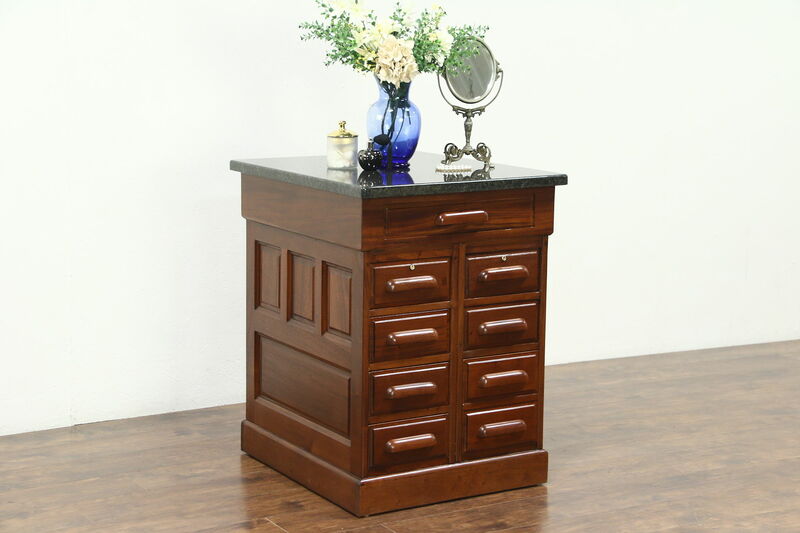 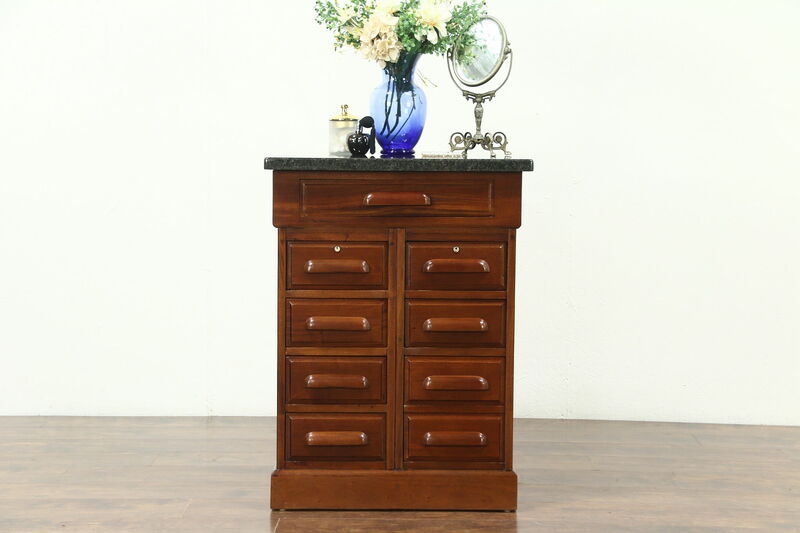 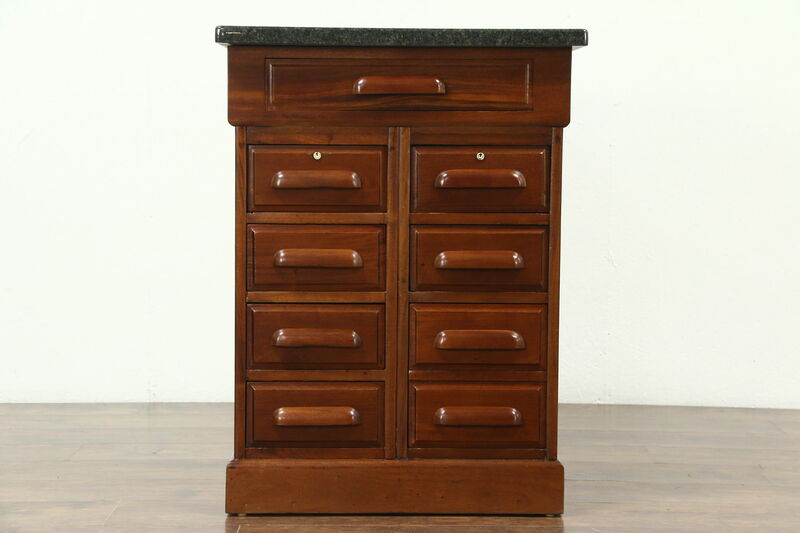 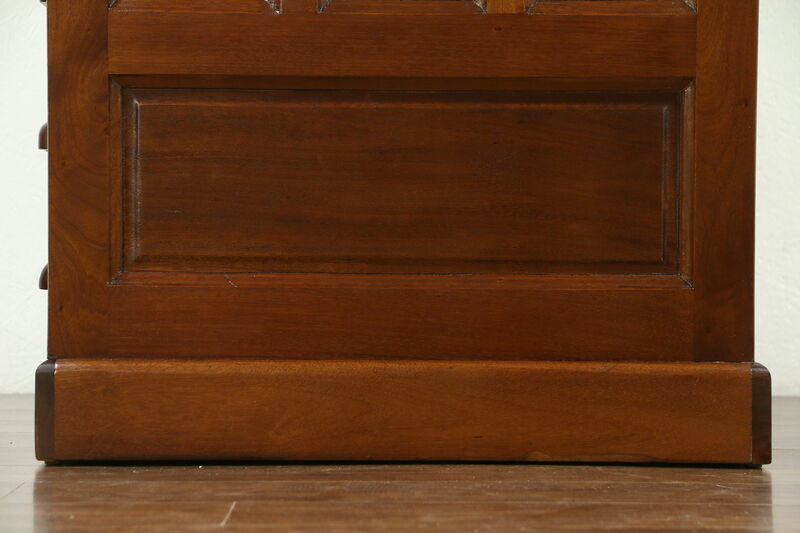 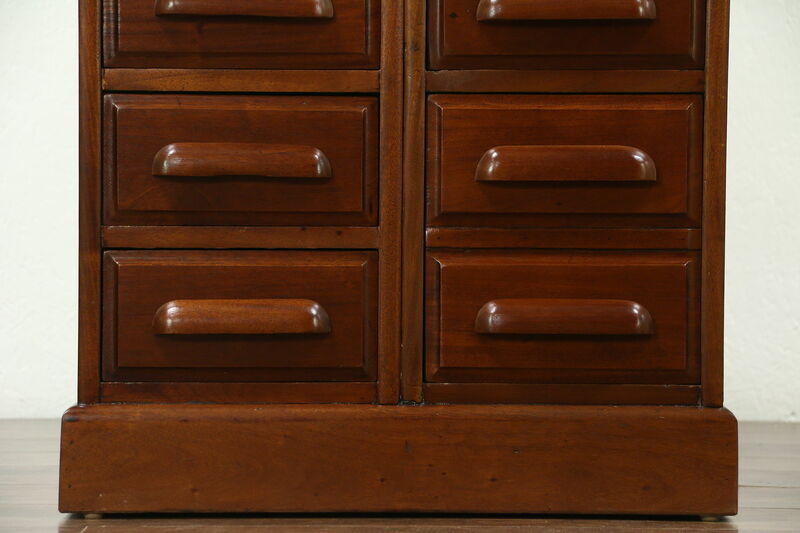 The top and upper drawer are rebuilt on this American made antique furniture. 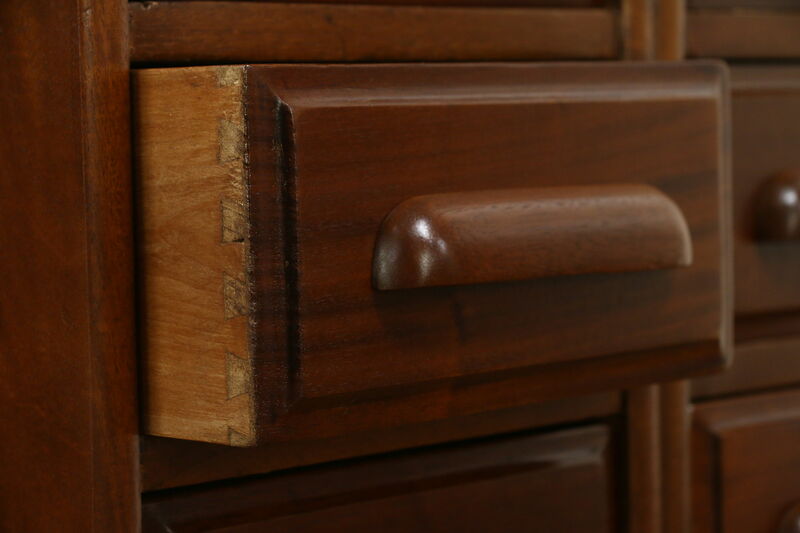 Lower drawers are deep and have dovetailed joints. 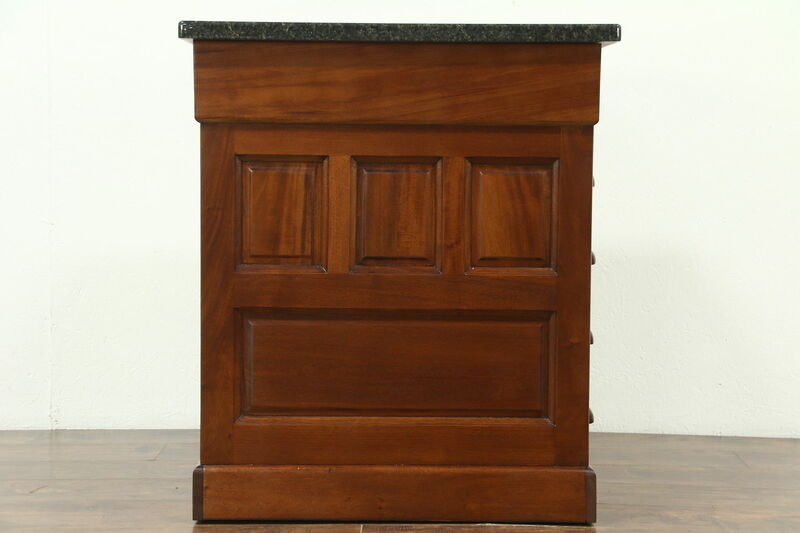 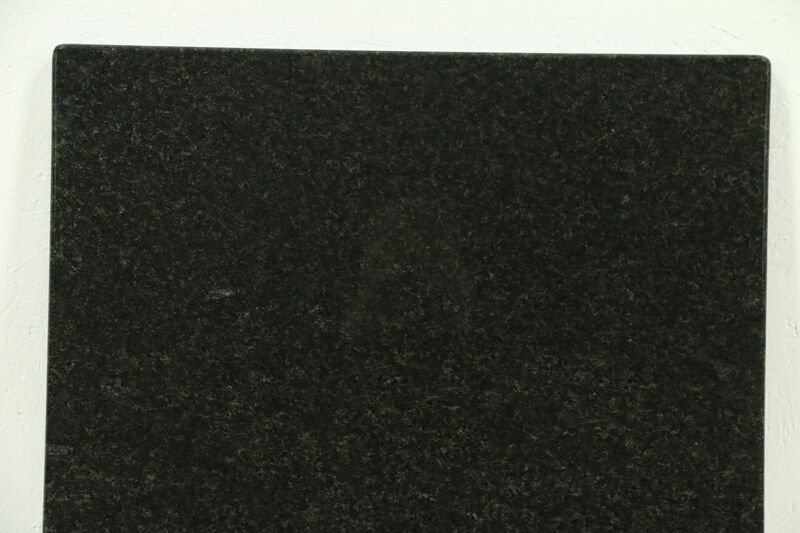 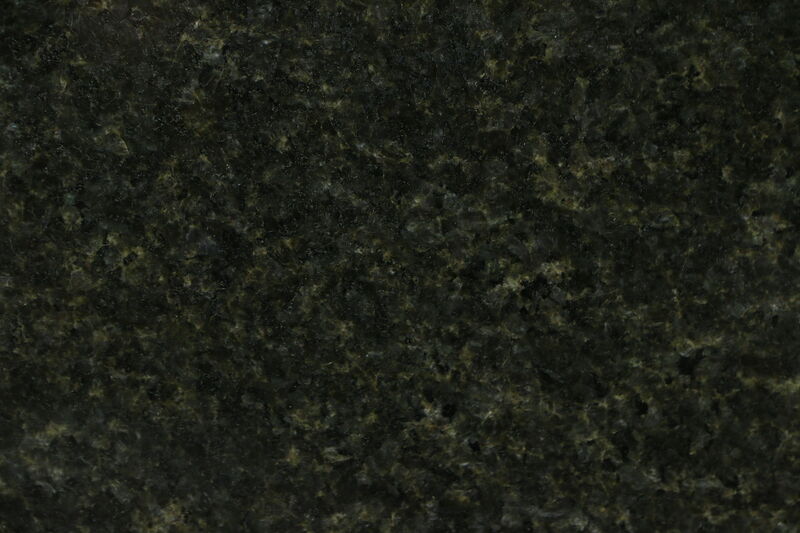 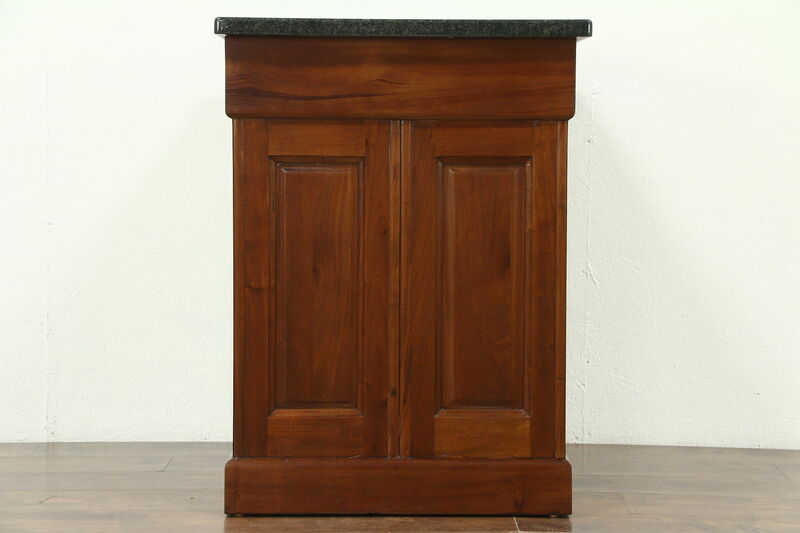 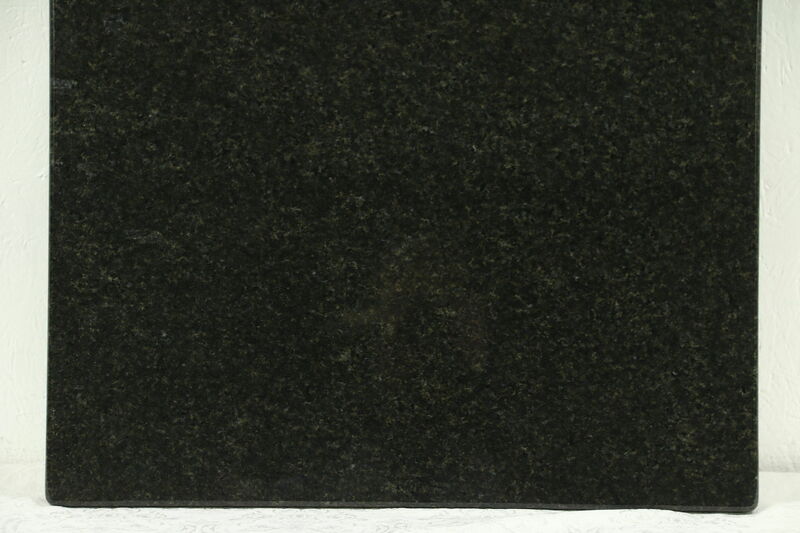 Measurements are 27" wide, 31" deep and 36" tall, including the 1 1/4" thick granite.